1/4"x6" Wood Boring Spade Bit Part #0612-0010 Diameter: 1/4" Overall Length: 6"These bits are excellent for both hard and soft wood as well as plywood. The lead point provides precise bit location and the angled spurs allow the quick drilling through hard knots. These bits fit all standard power drill chucks. 1/4"x6" Wood Boring Spade Drill Bit Part #0612-0010 Diameter: 1/4" Overall Length: 6"These bits are excellent for both hard and soft wood as well as plywood. 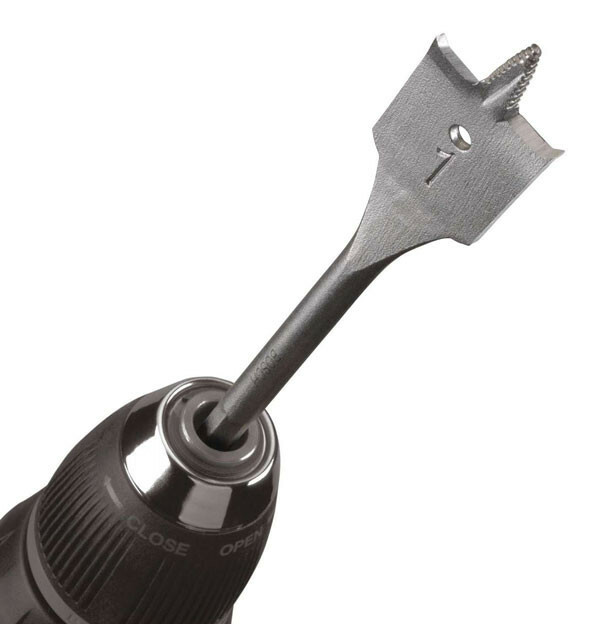 The lead point provides precise bit location and the angled spurs allow the quick drilling through hard knots. These bits fit all standard power drill chucks.